On May 26, 2016 I have reported the incidence of the Disposal of Fr. 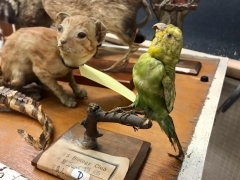 Bogedek’s Specimens. Over the last 10 months all the concerned parties have worked together, and we are on the way to bring back the life of the Research Works that Fr. Bogadek has put all his 50 years hard work from St. Louis into the world of Biology. 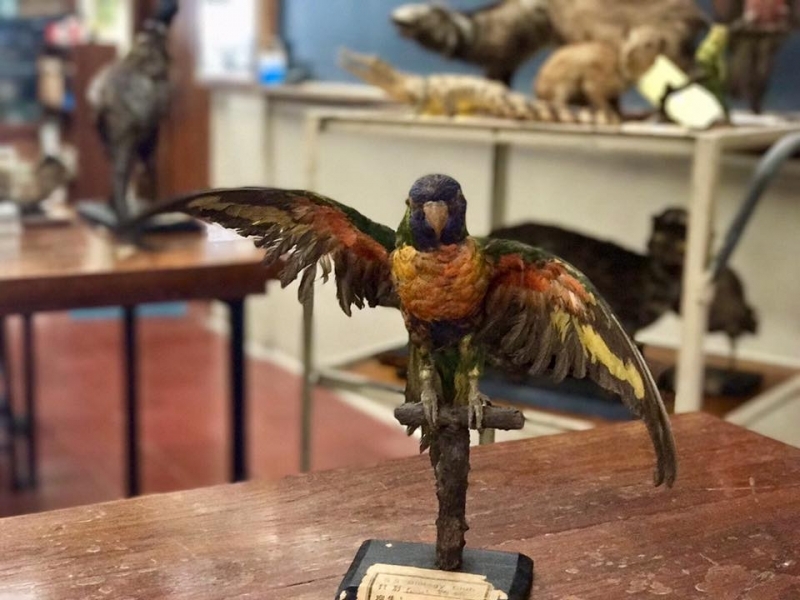 A project that would encompass cross platforms was officially formed since October 2016, about 5 months after the tragic loss of some very precious specimen from the Biology Laboratory. With the blessing from the School Authority, Fr. Matthew Chan the Supervisor, Mr. Peter Yu the Principal endorsed the establishment of this project, in celebrating the 90th Year of St. Louis School. Mr. 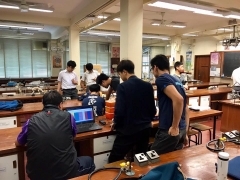 Lo Chi Wing, the Vice Principal; Mr. Patrick Pak, Mr. John Wong, Mr. Alex Wong, Mr. Allen Chan, Mr. Dominic Leung, Mr. Winson Kam, Mr. Ricky Cheung, and Mr. John Po; and a list of students in St. Louis School as well as current students in the Universities. 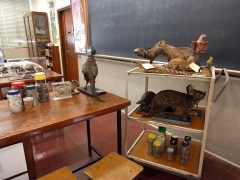 To furnish the St. Louis Biology Laboratory so that the Research Works can be displayed in a modernized environment. 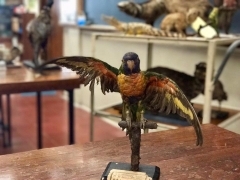 To digitally record and manage the data collected for the specimens and images of the historic collections. The first major work has started on February 25, 2017 that the specimens were properly recorded in categories, reinstated in modern storage mode, photographed and stored digitally. 3D images are in process so that they can be viewed on line when they are ready. The second sorting and preparation work was made on March 26, 2017 in a larger scale to include most of the specimen. The next step will be to interview the Principal Consultant for a more complete storybook. 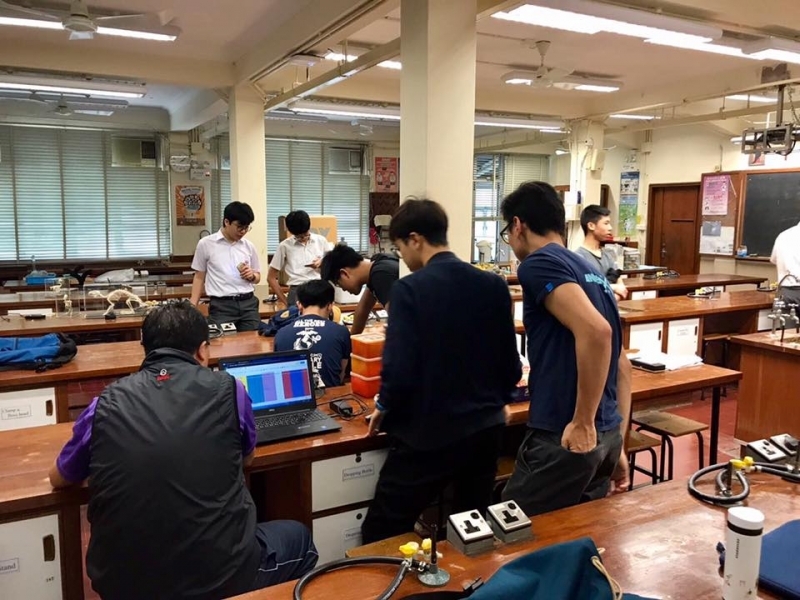 In a later stage, when the upgrading renovation plan is available, the Project Team will seek funding support from the stakeholders and the old boys to complete the plan.